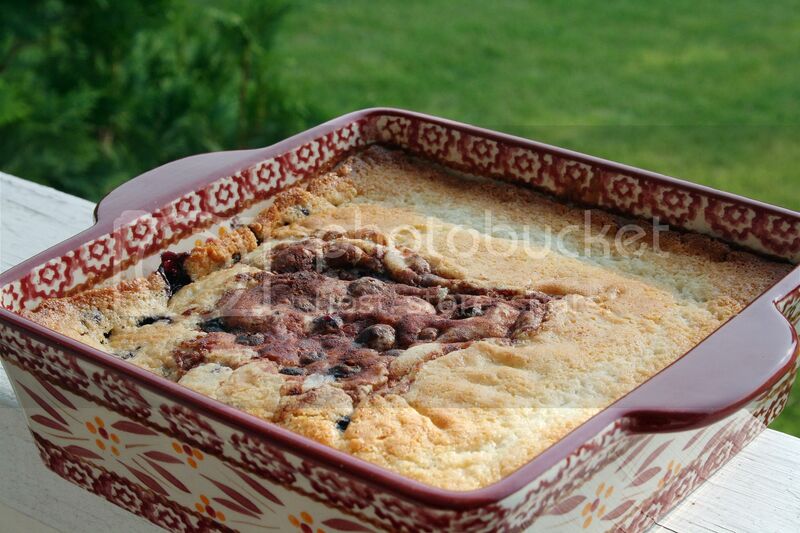 Blueberry cobbler is my quintessential summer dessert. 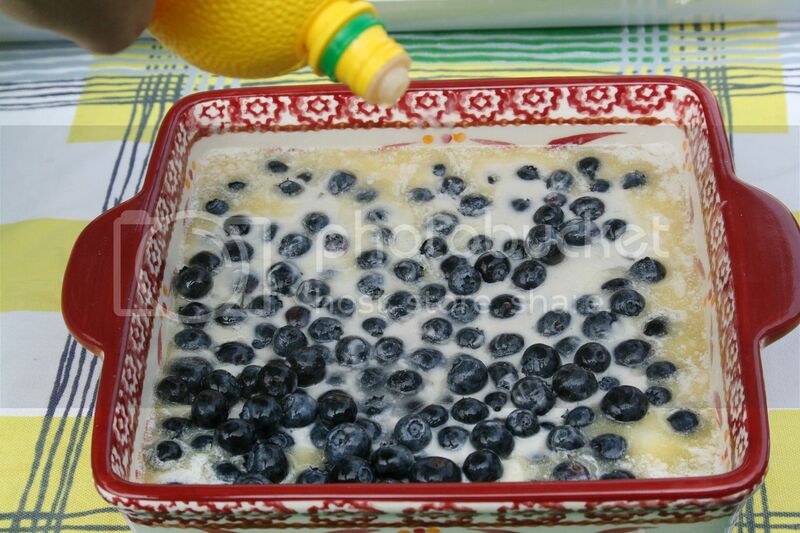 It doesn't even cross my mind the rest of the year, but come the first smell of grills being fired up and I immediately think one thing: blueberry cobbler with vanilla ice cream. I'm not one to spend a lot of time in the kitchen, especially in the summer. Why stay cooped up inside when there's beautiful weather to enjoy? I found this super simple cobbler recipe and I knew it was a match made in dessert heaven. I tweaked a few things in it which I will detail for you below. 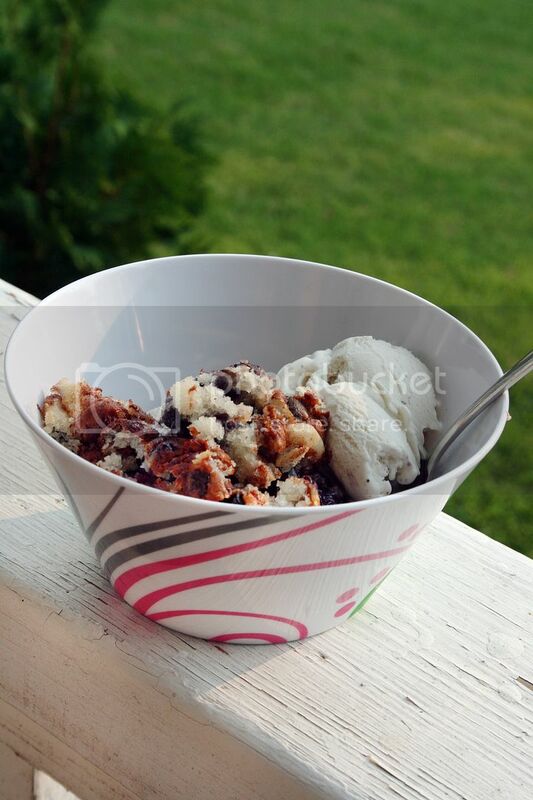 First things first, you need your ingredients and a really good vanilla ice cream is number one on that list. Preheat oven to 350 degrees. 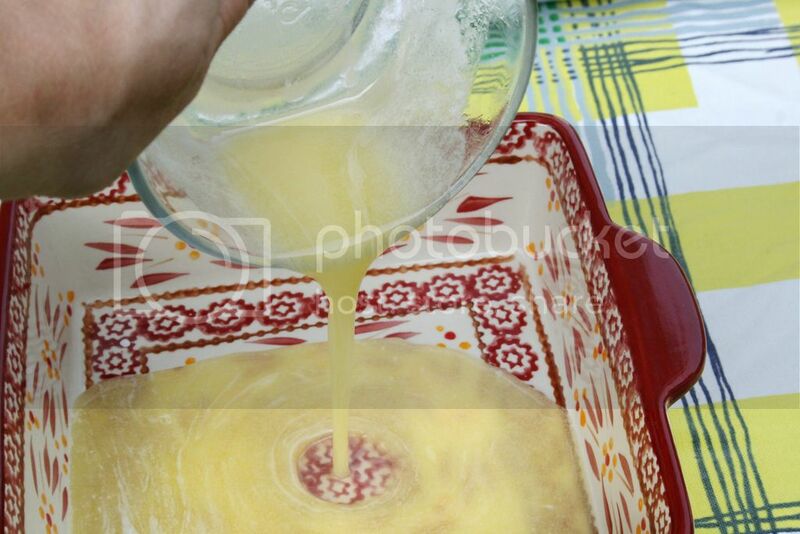 Melt the butter and pour it in a 8 or 9 inch baking dish. 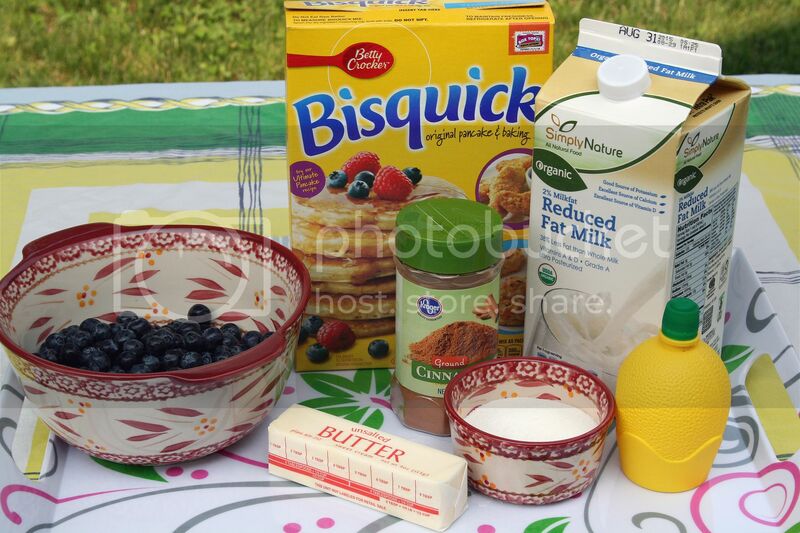 In a medium bowl, whisk together the Bisquick, sugar and milk, then pour over the melted butter. 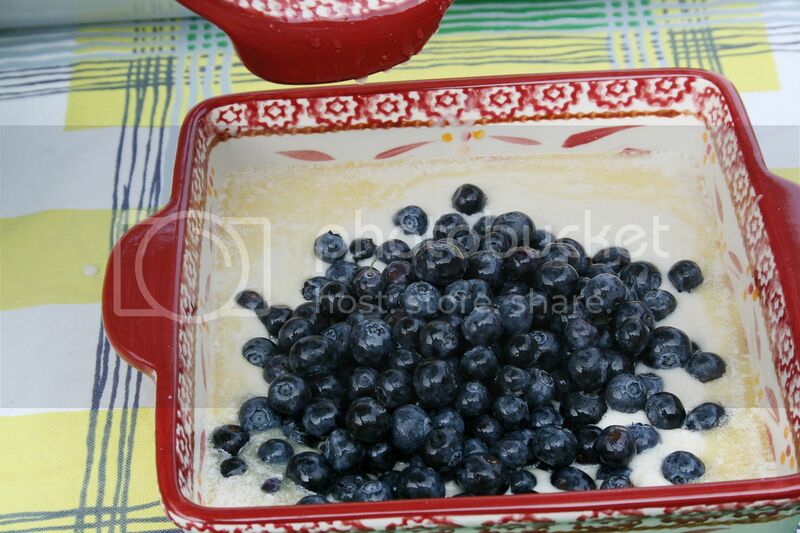 Next, pour your blueberries over the batter and make sure they are evenly distributed. At this point, I like to squeeze in a little bit of lemon juice and then sprinkle the top with a bit of cinnamon and extra sugar. The lemon evens out the tartness of the fruit and the cinnamon/sugar mixture adds a little extra sweetness to the batter. Pop the dish into the oven and bake for 42 to 47 minutes or until golden brown. Spoon it out while warm and serve with that really great ice cream you picked up earlier. 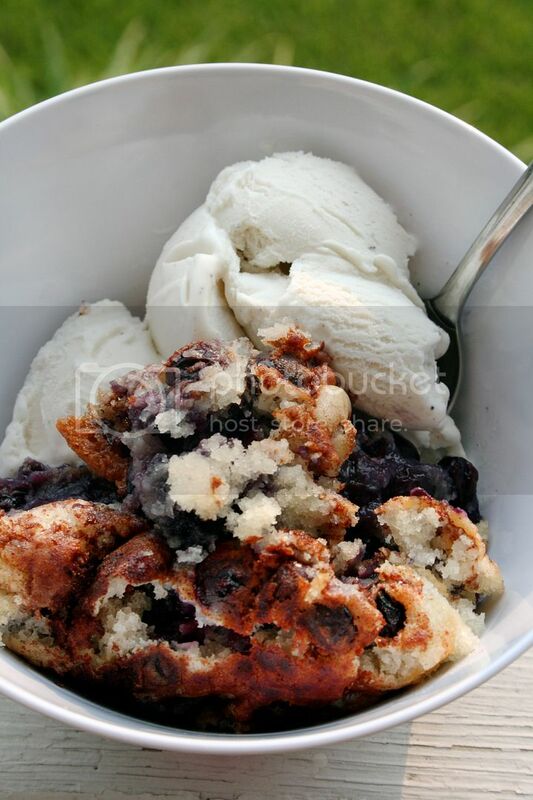 The warm cobbler will melt a bit of the ice cream and you'll get spoonful after spoonful of berries, cream and fluffy sweetness. Mmmmm. You'll be everyone's favorite if you bring this to the next party you attend (or host). Enjoy! Haha, I know what you mean! I always end up looking at food posts right before lunchtime and then I am starving by the time I get food. I just can't help it though!